Prestige. Esteem. Status. These words don't mean a thing when talking about the luxury midsize sedan segment if the ‘P' word is lacking. What has--and always will be--the true definition of luxury is one thing alone, and that is ‘power'. Power to leave all the generic tin cans in the dust with the slightest blip of the throttle. Power to arrive at your destination without breaking a sweat. Power to make lesser mortals drool with envy. Power that speaks without words and says, "I've arrived." The highly esteemed Toyota Camry--for better or for worse--is synonymous with these perceptions. You can park it beside an entry-level BMW and it will not be considered any less of a vehicle. In fact, it may even command more respect. People will figure that the owner is a discerning one, and has an appreciation for Japanese metal and the country's reputation for technological advancement. Under the long and bulging hood of this particular Camry is the 2GR-FE powerplant-a 3.5-liter, 24-valve, dual VVT-i V6 monster that speaks softly, but carries a big stick. Does the tune of 274 horsepower and 346 Newton-meters of torque pique your interest? It should, since with these figures at your disposal, you can expect to cover large distances in the least amount of time. Even the opulent bulk (courtesy of luxury appointments like leather seats, faux-wood trim, rear command console, and giant exterior proportions) is swiftly transported in utmost silence. Hardly any engine noise reaches the cabin, but then again, the engine is already very silent to begin with. As you pile on the kilometers, you won't even notice that you are driving well past our so-called speed limit. It has been said before that the Camry really is meant for the chauffeur-driven set. Chances are that whoever owns one probably spends more time in the backseat than behind the wheel. We won't debunk that. Indeed, when you're seated at the lounge-like rear, the commute will lull you to sleep. Unlike the Accord's, the Camry's ride is biased toward the comfort of the passengers. It almost feels like riding a boat in still water, as the cushiness of the suspension is very apparent. 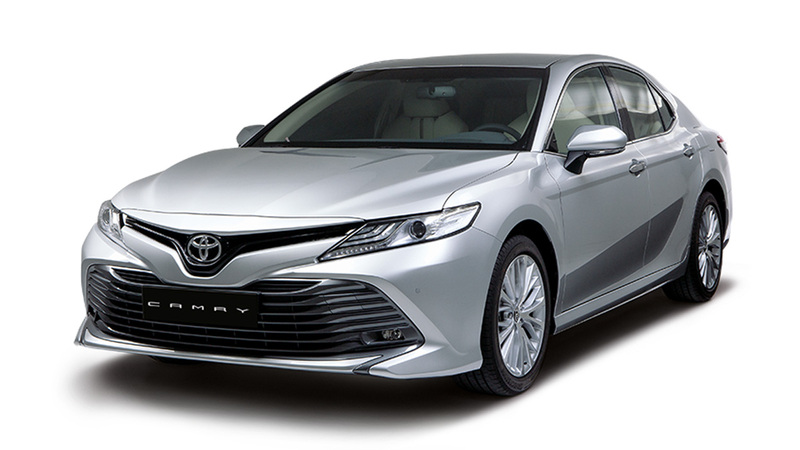 Now, this is where the paradox of the Camry lies: The torque and the horsepower figures are startling, but the chassis geometry is just way too comfortable. The guys at Toyota were a little too specific at targeting consumer demographic. We imagine the prospective buyer's profile to read: "Middle-aged, city-based executive who only travels along major thoroughfares and highways." Why? Throw the Camry into a corner and the body roll is quite noticeable. Still, the Camry is like a marathon runner that will go the distance, but isn't quick on his feet when it comes to changing directions in a hurry. But if your heart is already set on buying this sedan, you wouldn't care about these observations anyway.